Joe Mitchell, left, with AmeriGas and Durango Fire & Rescue Authority Capt. Shane Baird watch as a flame comes alive at the tip of the flare stack AmeriGas donated to DFRA during a demonstration Thursday at the DFRA fire station in Bodo Industrial Park. 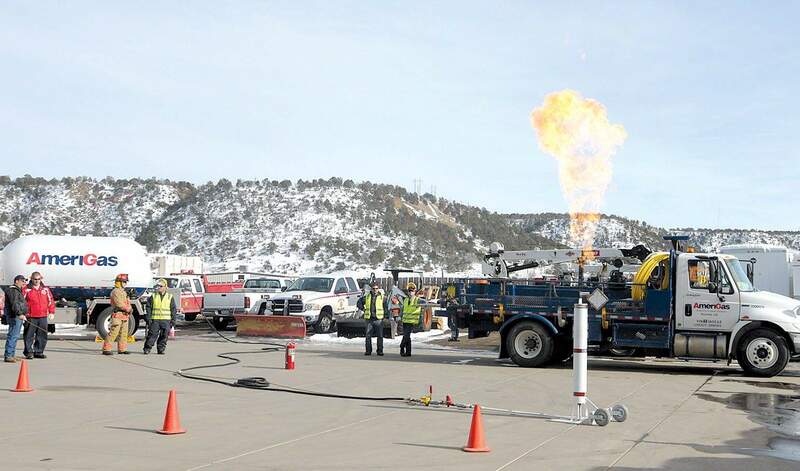 Mark Quick, DFRA’s hazardous materials team leader, said the flare stack will enable his hazmat team to more safely empty the contents of compressed gas fuel trucks in emergency situations where transferring the gas to another vehicle is not feasible. 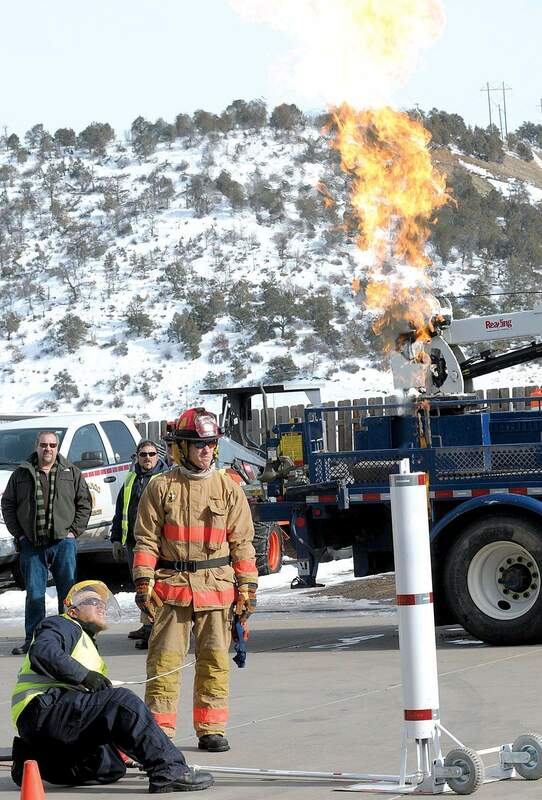 Durango Fire & Rescue Authority personnel and employees of AmeriGas watch as a flame comes alive at the tip of the flare stack AmeriGas donated to DFRA during a demonstration Thursday at the DFRA fire station in Bodo Industrial Park. Mark Quick, DFRAs hazmat team leader, said the flare stack will enable his hazmat team to more safely empty the contents of compressed gas fuel trucks in emergency situations where transferring the gas to another vehicle is not feasible.